YouTube is trialing a new feature which will hopefully deal with YouTube's biggest bugbears - its wonky numbers. 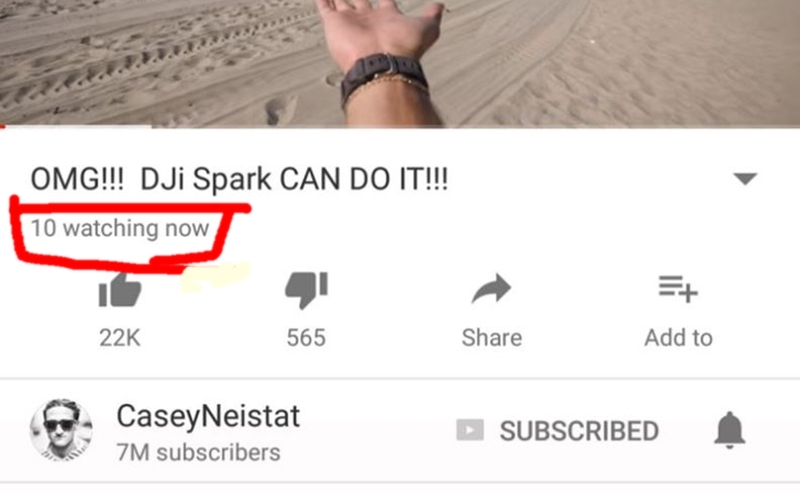 YouTubers have long complained that YouTube's view counts are inaccurate and slow to update (anyone else remember being the 3o1st viewer?) According to Android Police, YouTube is testing a new feature that shows you how many concurrent viewers there are on a video at any given time. In other words, you can finally get an accurate snapshot of how many people are seeing your video. The feature is currently being tested in YouTube's Android app. Android Police reports "users reported seeing a ‘watching now’ figure below video titles — and right above the ‘thumbs up’ button". There's no word on whether this will become a permanent feature but if it does it could put rest to years of uncertainty on the parts of YouTubers, who are constantly trying to work out if their subscribers are actually getting their videos. That being said, YouTubers have often said that it is easy to get caught up in stats and numbers (obsessively so), so having a constant realtime counter of how many people are watching your videos may actually prove to be a pretty anxious experience.